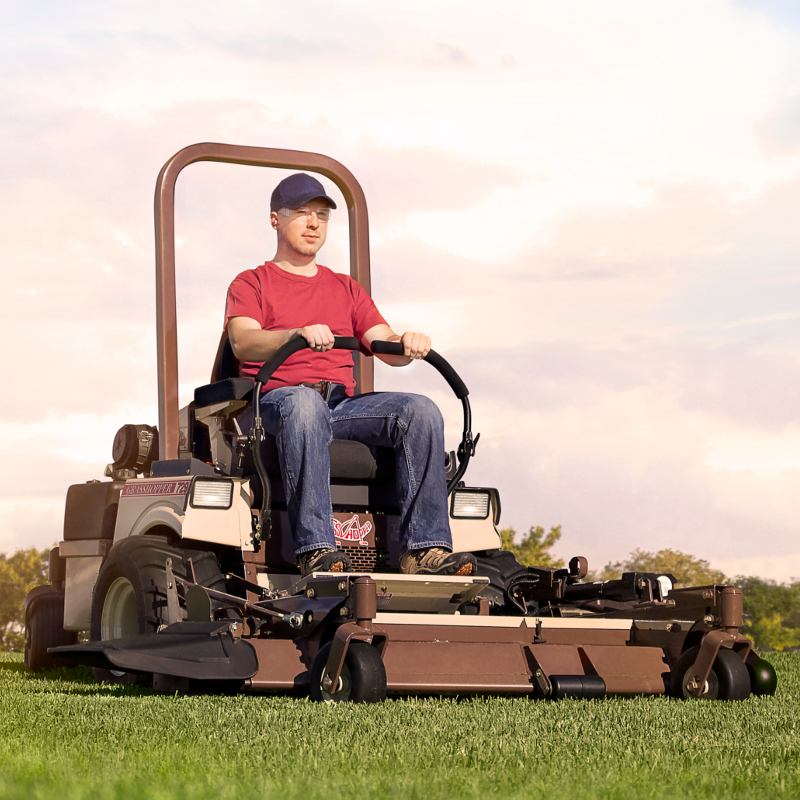 Designed for speed and durability, the liquid-cooled Grasshopper Model 729T zero-turn riding lawn mower delivers powerful performance to easily master a wide range of grounds maintenance tasks in record time. 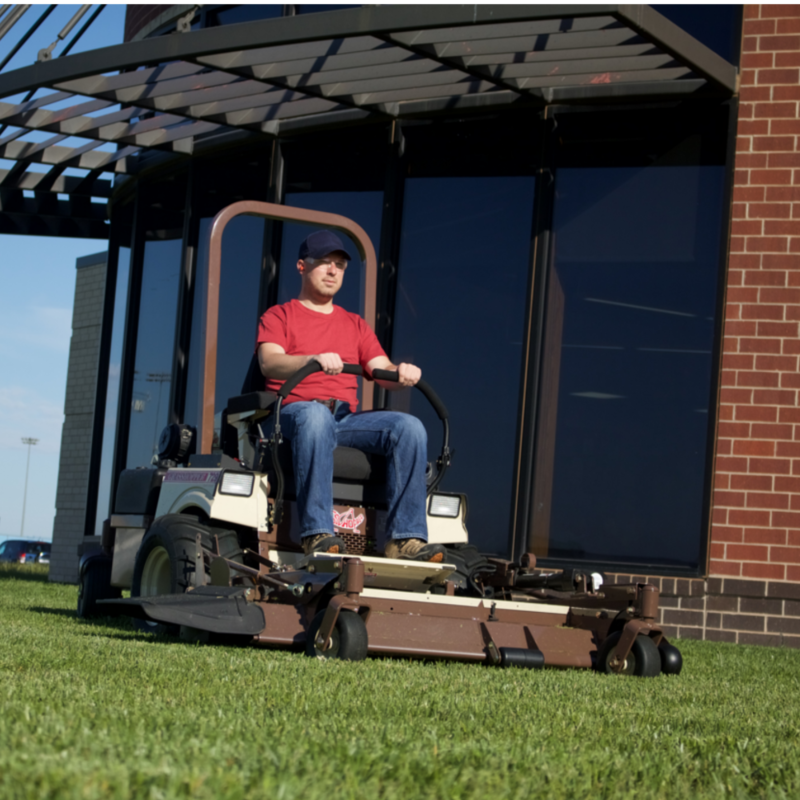 Quality and durability built in to this mower reduces down time while providing dependable service year-after-year. Front decks with PowerFold® deck lift/electric height adjustment raise up for compact storage and easy underside deck servicing. 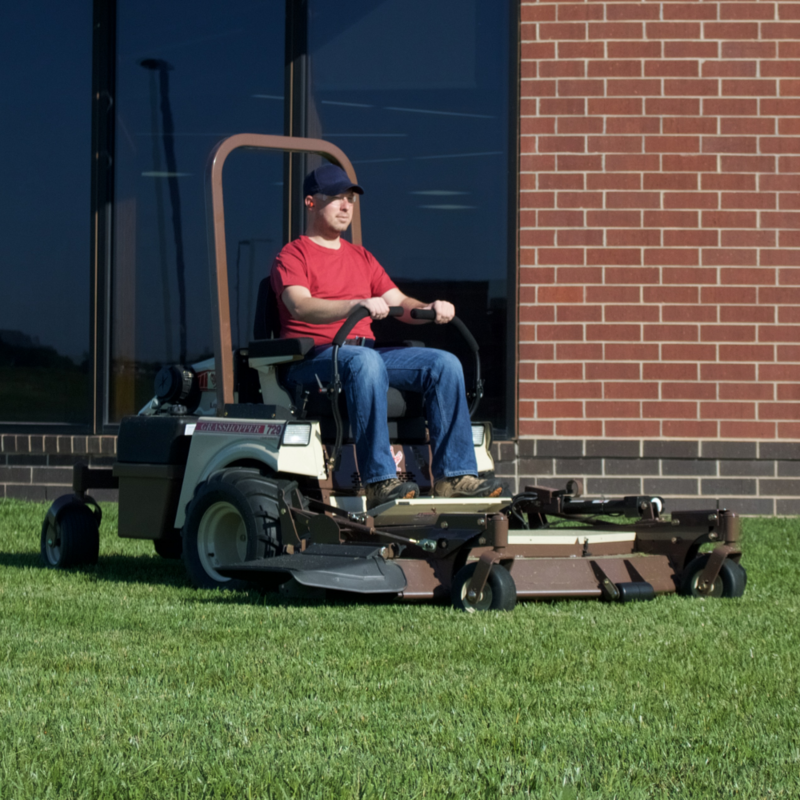 Easily replace the deck with a variety of implements for turf renovation and snow removal jobs. Engine Type Kubota, MaxTorque™, 3-cyl. Kubota, MaxTorque™, 3-cyl. Kubota, MaxTorque™, 3-cyl. Operator Seat Ultimate Suspension Ride (USR), embroidered logo, iso-mounted, high-back, deep-cushioned, foam-padded CoolTemp Cordura-covered, padded arms/backrest with lumbar support and coil-spring suspension. Optional CoolTemp Cordura-covered premier suspension seat. Ultimate Suspension Ride (USR), embroidered logo, iso-mounted, high-back, deep-cushioned, foam-padded CoolTemp Cordura-covered, padded arms/backrest with lumbar support and coil-spring suspension. Optional CoolTemp Cordura-covered premier suspension seat. Ultimate Suspension Ride (USR), embroidered logo, iso-mounted, high-back, deep-cushioned, foam-padded CoolTemp Cordura-covered, padded arms/backrest with lumbar support and coil-spring suspension. Optional CoolTemp Cordura-covered premier suspension seat. Console-mounted Instruments Low engine oil pressure, alternator, temperature and parking brake warning lights, engine temperature and volt gauges, digital hour meter, work lights, ignition and push/pull PTO switches. Choke integrated with throttle lever. Low engine oil pressure, alternator, temperature and parking brake warning lights, engine temperature and volt gauges, digital hour meter, work lights, ignition and push/pull PTO switches. Choke integrated with throttle lever. Low engine oil pressure, alternator, temperature and parking brake warning lights, engine temperature and volt gauges, digital hour meter, work lights, ignition and push/pull PTO switches. Choke integrated with throttle lever.